If you've tried (or seen some video) Unity, you've surely noticed the Compiz Expo icon on the Unity dock (launcher). 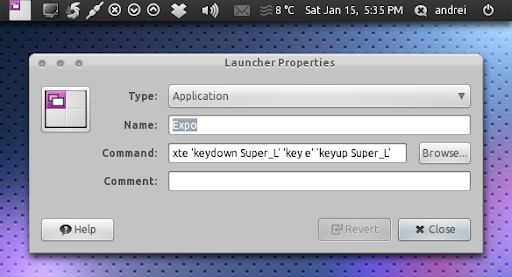 There is no Gnome panel applet to do this but you can do this thanks to xautomation. 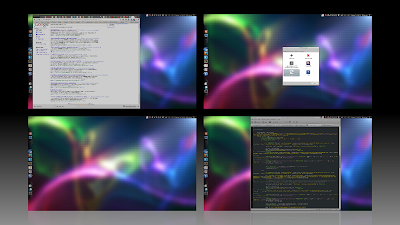 Here is how to replicate this behavior in any Ubuntu version, using the normal Gnome desktop. 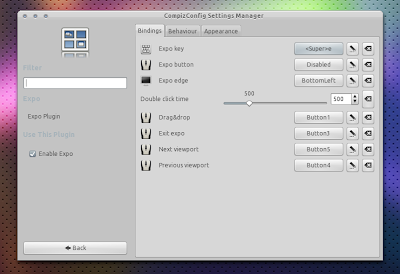 Go to System > Preferences > CompizConfig Settings Manager and enable the "Expo" plugin. Then click it and on the "Bindings" tab, set a keyboard shortcut for the "Expo key" (first item on the list) - I've set "e" so that's what I am going to use for the commands in this post. 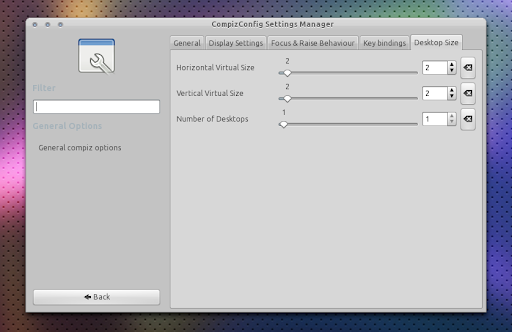 By default, expo displays one big wall, but if you want multiple rows (like in Unity - and in my screenshot), go to CompizConfig Settings Manager, click on "General options" and on the "Desktop Size" tab, set the "Vertical Virtual Size" to some number larger then 1. I've used "2" for both "Horizontal Vertical Size" and "Vertical Virtual Size". (This assumes you've used "e" as the Expo key binding under step 2, if not, modify it to whatever custom keybinding you've used). That's it! Save the custom application launcher and try it out. Post inspired by UbuntuLife, however the method used in this post is different.